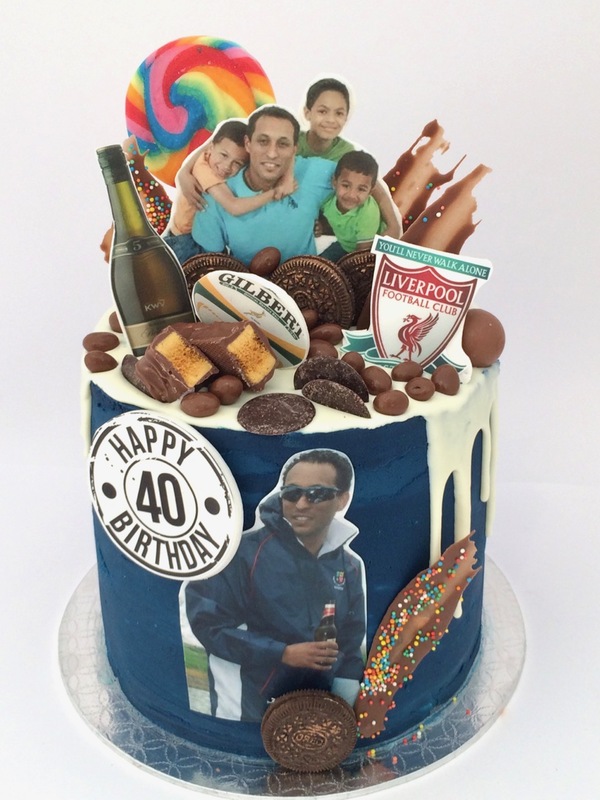 This is a cool Crazy Cake for a 40 year old birthday party. The cake had to reflect all of his favourite things. This cake is 22cm and 18cm high and easily serves 30 guests.